This past weekend, we wished a very happy one year anniversary to one amazing couple - Veronica and Chip Getz! I absolutely LOVED having the opportunity to work with these two. Talk about two of the kindest, most genuine people I've ever met! Not to mention one seriously gorgeous couple, who are just a perfect match! 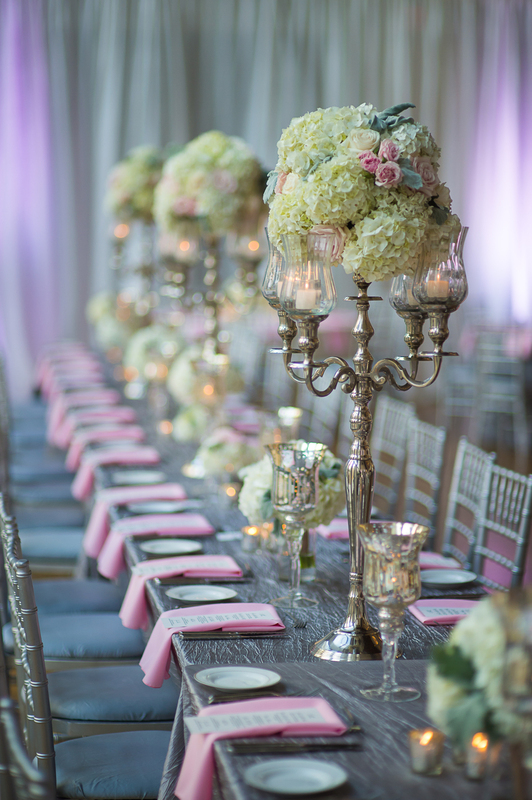 Their romantic & sophisticated wedding at The Mint Museum was a highlight from our 2014 season. And in honor of their anniversary, I couldn't help but share their fabulous highlight reel from 5Ahead Films! Here are a few of my favorite photos by the talented Jeremy Igo Photography from their beautiful day! One incredible year down, and just a lifetime to go! Cheers to you, Mr. & Mrs. Getz! Lots of love to you both! Just one short year ago, a beautiful bride with an infectious smile married a total gentleman in a sweet ceremony that combined both of their cultures and religions. Sadly our garden wedding plans were rained out - but a little (well, okay - a lot!) of rain didn't dampen this spirits of this amazing couple one bit! It's pretty ironic that it also rained on their anniversary, just one year later. But you know how the saying goes, rain on your wedding day brings good luck! :) I recently heard a new saying about rain on your wedding day that was so awesome - The wetter the knot the harder it is to untie. How's that for some perspective?! I have a feeling this amazing couples would agree. I loved this beautiful garden wedding design, inspired by nature. We incorporated so many little details that were a reflection of Mia & Alex - like their hot air ballon guest book, which is where Alex proposed to Mia! If you haven't seen the full blog post, click here. Their wedding portraits in the Orchid Conservatory of Daniel Stowe Botanical Garden is one of my favorites from 2014. I loved seeing it pop up on Huffington Post blog last summer as part of their 14 Boho Desert Wedding Ideas! 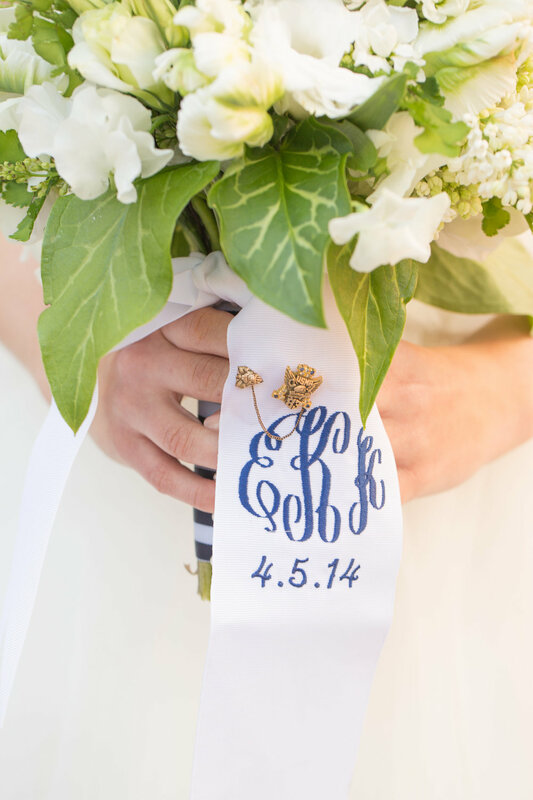 Today I'm sharing a few of my favorite highlights to from their big day to celebrate! Isn't this bride so beautiful?! I love Mia's gorgeous tiered lace dress! And that smile - so infectious! I am so honored to have had the opportunity to be a part of this special day! 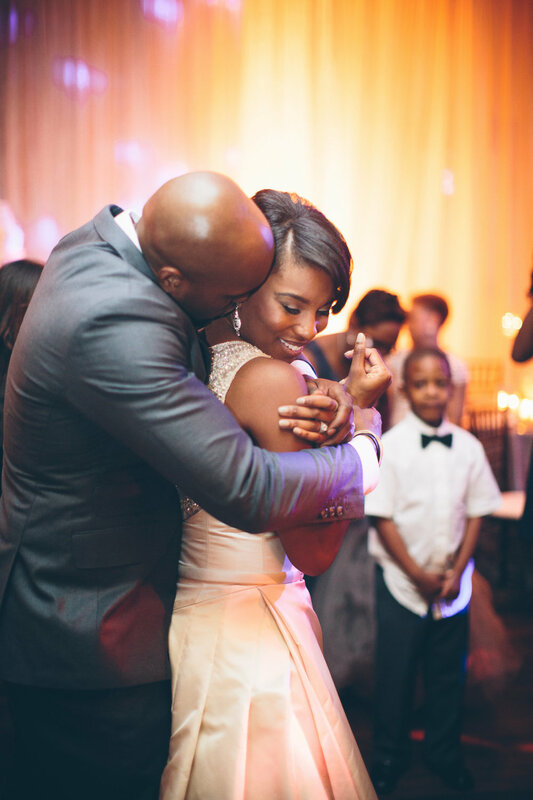 Cheers to many, many more years of wedded bliss for this adorable couple! It is with such great joy that I wish a very happy one year wedding anniversary to two clients turned dear, dear friends! I can honestly say that I just don't know where I'd be with out Katie. She and her amazing husband - and her super sweet family - have become like a second family to me, and I am so, so grateful to have such amazing brides like her! 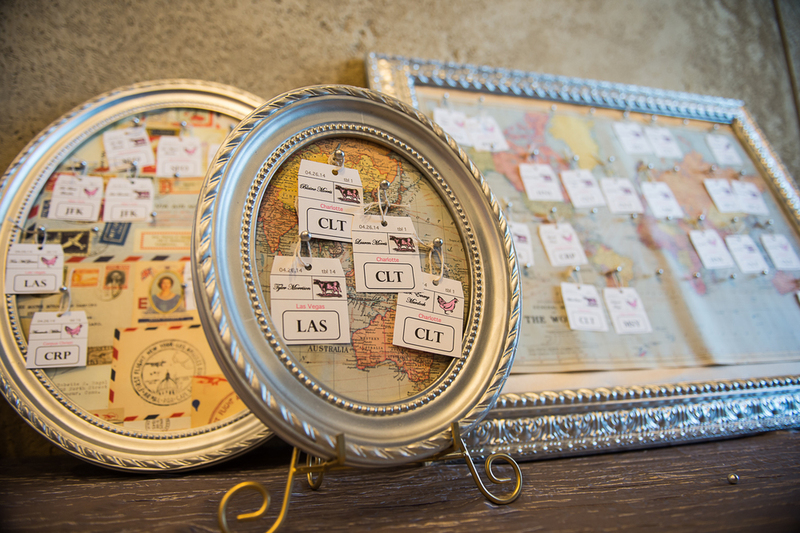 This wedding was so much fun in so many ways - from the people to the design! 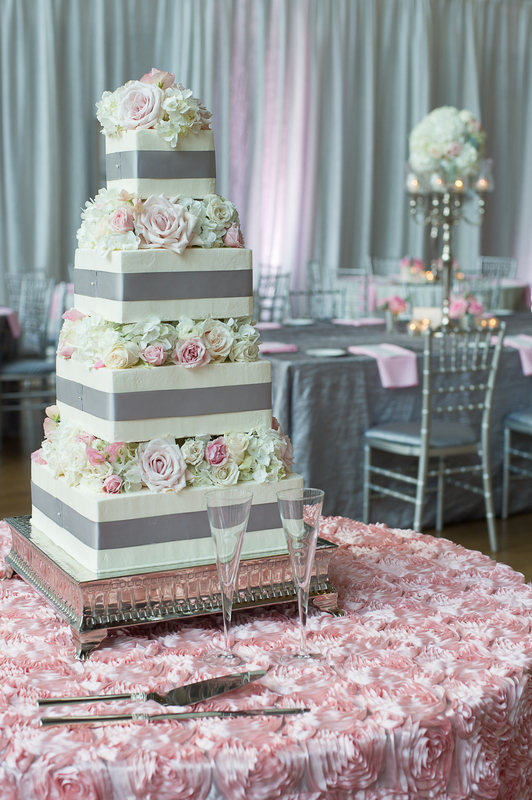 Our sweet bride is a lover of Kate Spade style, which was at the core of our design. Effortless, fun, preppy, modern, & classic style were all words we kept in mind when pulling together Katie's wedding design. 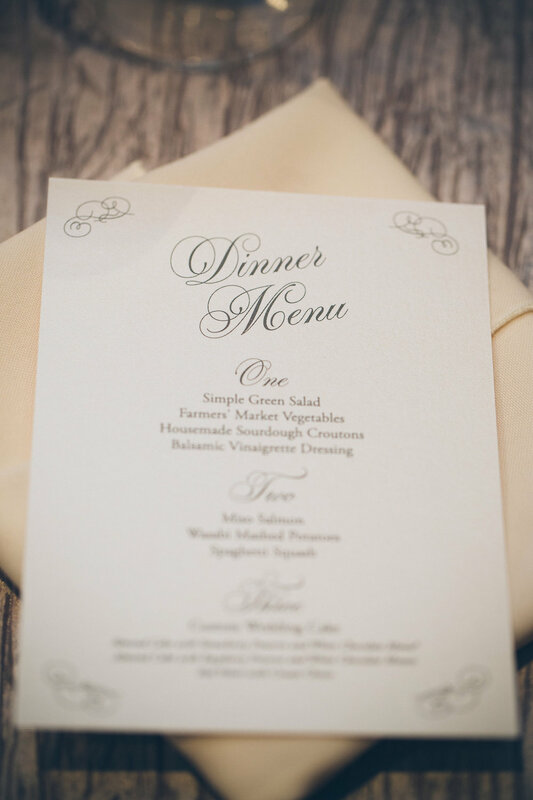 I love the mixture of clean lines and graphic patterns with use of unique floral textures in the centerpieces. 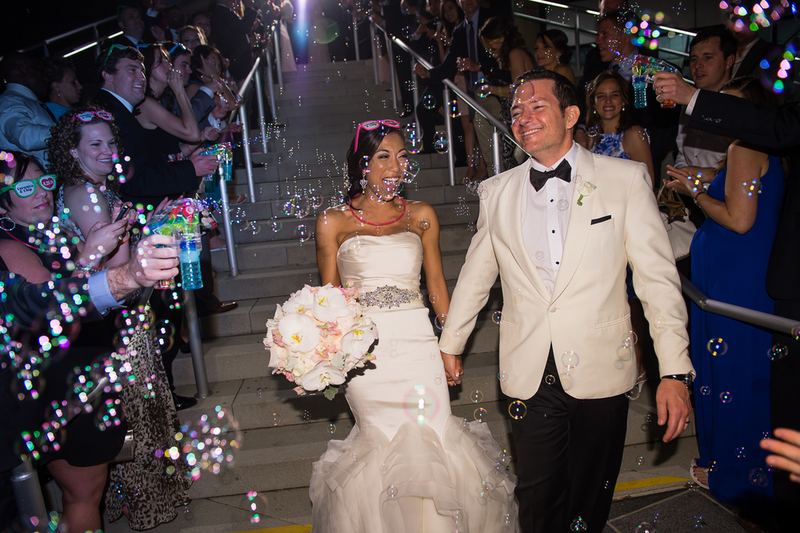 The Mint Museum Uptown was the perfect location for this modern art loving couple! I absolutely loved seeing their wedding shared recently on Wedding Chicks - check out the full feature here in case you missed it! I am sharing just a few of my favorite photos from Katie and Eric's wedding day, beautifully captured by Lauren Rosenau Photography. You can see more from my other post about Katie and Eric's wedding here and here. I cannot believe it's already been one year since this sweet couple said "I Do"! Time really does fly when you're having fun with your best friend - Am I right you two?! I am so grateful that Katie sent me an email back almost 3 years ago. (It is still one of the nicest, sweetest inquiry emails I've ever received!) I hope you have a very happy one year anniversary and enjoy celebrating together! I wish you all best as you relive one of the best days ever - and I wish you many, many more years of wedded bliss! Love you both tons & tons! Hard to believe it has been a one year since this dashing couple said I do in a beautiful riverside ceremony at Brakefield at Riverwalk and celebrated among family and friends in one of the most glamorous spaces we've every transformed! I absolutely loved every single second of working with Whitley and Darian to help them plan for their big day! And we were so honored to see this wedding be published on Style Me Pretty, in the Carolina Bride book and in the summer issue of Carolina Bride magazine! Style Me Pretty even named Whitley and Darian's wedding one of their favorite NFL weddings on SMP! We LOVE it! 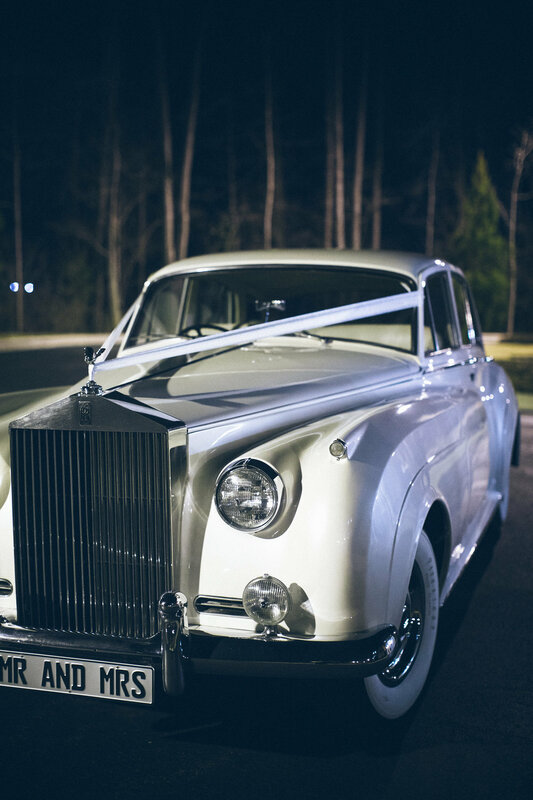 Take a peek at a few of my favorite photos from their wedding day captured by Lauren Rosenau Photography. 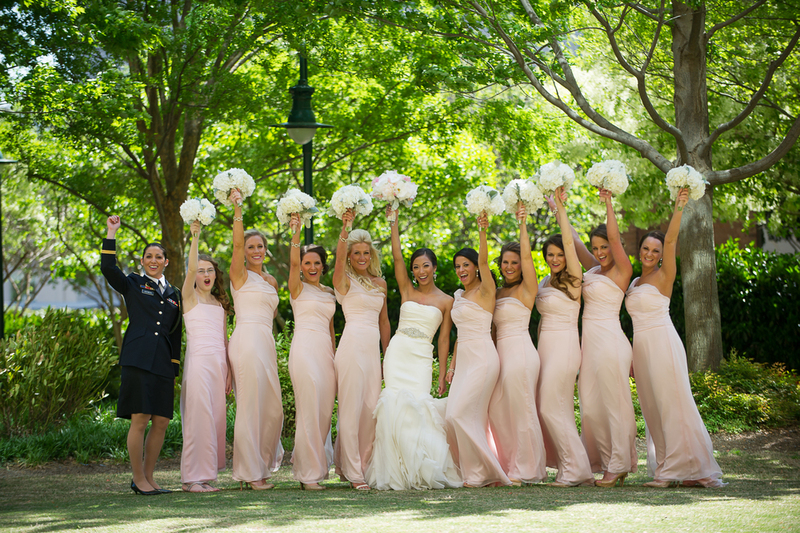 It is so great to take a look back ... this wedding was so much fun and simply stunning! Bringing our bride's vision to life was so rewarding! And I know it's been an exciting first year of marriage for this sweet couple! Wishing you many, many more years of bliss! Cheers to you, Mr. & Mrs. Stewart! xoxoxo! I'll never forget the first time I met Steph and Bryce - I loved them from the moment we met. What an amazing couple these two are! Planning for their June 2013 wedding at St. Peter's Catholic Church and the Mint Museum Uptown was so much fun! The cherry on top was that half way through planning, as we're getting to know each other, Steph and I find out that we were both part of the same sorority. It is such a small world! 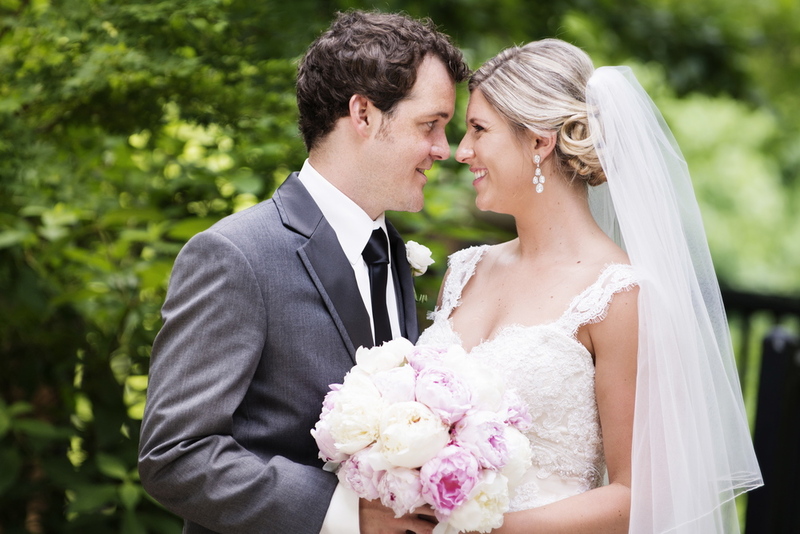 I'm honored to have helped these two sweethearts plan a simply gorgeous wedding! Happy Anniversary you two! Time flies when you're having fun, right?! It's no secret that I absolutely LOVE celebrations and I will find a reason to celebrate pretty much anything. And, one year wedding anniversaries are so incredibly special and a major reason to celebrate!! I want to wish a very, very happy one year anniversary to Heather & Sean! Your wedding will always hold a special place in my heart. I absolutely loved being a part of such a memorable day for your family and witness such genuine love. I hope you two had an amazing first year of wedded bliss and enjoy many, many more to come! Lots of love to you and your adorable family! 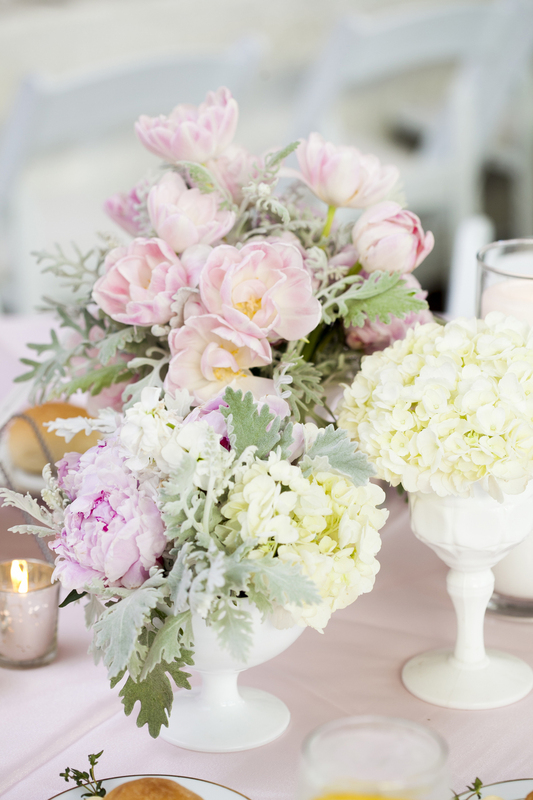 And, I love every single photo from Lauren Rosenau Photography!